This week I will be working on the new Bonnie Hunter Mystery Quilt, called Easy Street. The first clue was released the day after Thanksgiving, and new clues will be released every Friday for the next 5-6 weeks. Bonnie's mystery quilts are always fun and usually have lots of little pieces. We will see how this one turns out! 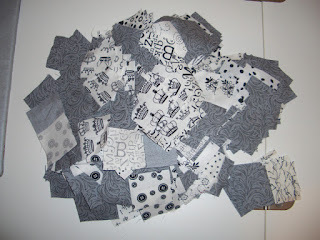 Here is the first step almost finished-just have to sew into 192 4-patches. 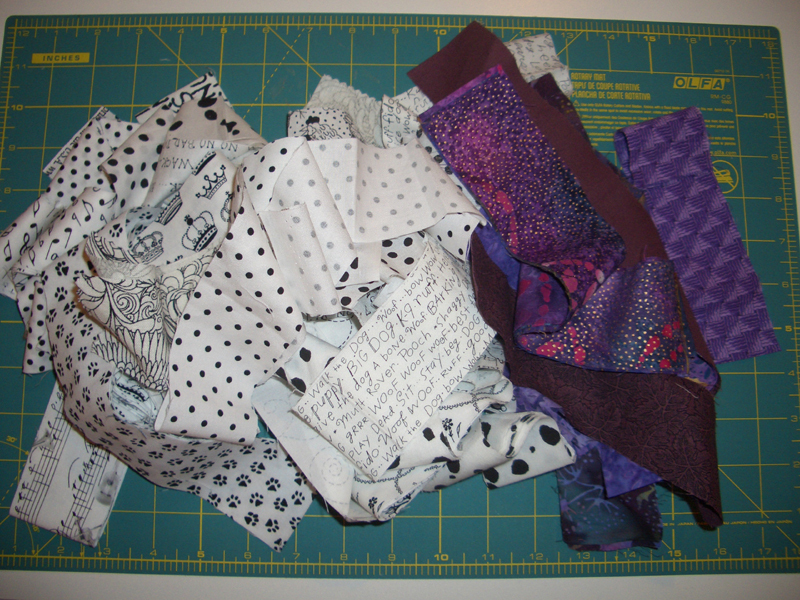 Step two involves cutting triangles and sewing into flying geese units. I am already behind- but check out Sandi over at Kwiltnkats. She has already completed the first two steps. Ok, so now it is time to get sewing!!! For great inspiratin check out all the other Design Walls at Patchwork Times.